Jennifer Moir is a highly respected conductor, educator and adjudicator with a growing international reputation. 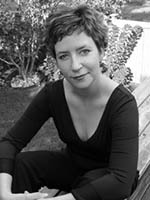 She is the recipient of numerous teaching awards and was honoured with the distinguished Leslie Bell Prize Award for Choral Conducting from the Ontario Art Council in 2004. In May of 2010, she was nominated for the Premiere’s Awards for Excellence in the Arts, in the category of Emerging Artists. Under her direction, choirs have won national and international awards through the CBC Choral Competition, The Choral Olympics, Linz, Austra, Llangollen International Musical Eisteddfod, Wales and have been broadcast on CBC Radio. Ms. Moir is invited regularly to serve as a clinician for festivals, coach for choirs and vocal ensembles and workshops facilitator for music students and educators across North America, Europe and Scandinavia. Highlights include an artist residency at the Sibelius Academy and the Konservatori in Helsinki, Finland, language coach for Finnish recording artists, Rajaton and rock sensation, Santa Cruz, Tampere International Choral Festival. Jennifer has adjudicated voice and choirs at both the national and international level and has served on faculty with The Voice Care Network, St. John’s University, Minnesota. She is the past Artistic Director The Junior Amabile Youth Singers, The Woodstock Fanshawe Singers and Project Sing! Jennifer is the founder and Artistic Director of The Kaleid Choral Festival ~ “a kaleidoscope of voices” that has played host to internationally renowned vocal groups Rajaton (Finland) Black Umfolosi 5 (Zimbabwe), Cadence (Canada) and FreePlay Duo (Canada). Through this festival and regular programming, Jennifer has commissioned over 60 new works to date by Canadian composers. At Western University, Jennifer conducts Les Choristes (women’s choir) and The Chorale (mixed choir), has a voice studio, teaches Vocal Methods and Choral Techniques. In Spring 2015, Jennifer was awarded a Community Service Learning grant to develop an experiential learning course at Western, “Community Through Choral Art”. In the Spring and Fall of 2016, students participating in the course will perform in an innovative production of R. Murray Schafer’s music drama, The Spirit Garden. At home on stage as an oratorio and recital singer, Jennifer commissioned and premiered, “Tableaux Eternelles” a song cycle for Soprano and piano, by Canadian composer Jeff Smallman. Collaborations with pianist John-Paul Bracey consist of the North American premiere performance of the music of Guastavino. and numerous recitals featuring the music of Joaquin Turina. Select collaborations include performances with Opera Viva (Kelowna, B.C. ), Orchestra London, the London Community Orchestra, the International Symphony Orchestra (Sarnia and Port Huron, ON) and the Contemporary Dance Collective (London, ON).